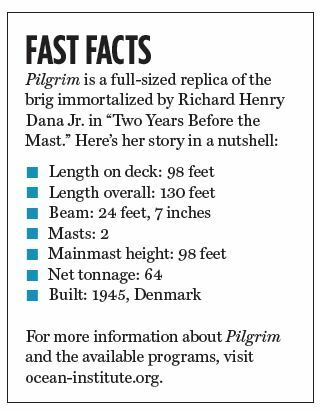 For 36 years, Pilgrim has educated generations of students and visitors with a firsthand account of "Two Years Before the Mast." As I step aboard Pilgrim one hazy afternoon in Dana Point Harbor, the cool dampness and earthy smells are strangely familiar. Climbing down the stairs, my memory drifts back to 20 years ago when I first descended these exact stairs into the bowels of the very same ship as a young girl. Like many other fifth-graders in Southern California, my classmates and I had the opportunity to stay aboard Pilgrim overnight to learn firsthand what it might have been like to be on the voyage that Richard Henry Dana Jr. took from Boston in the 1830s. The remarkable memoir of Dana’s travels aboard the original Pilgrim was published as “Two Years Before the Mast,” a celebrated and much-referenced work of American literature. Dana captured the essence of what it was like to be a merchant seaman, and the hardships endured by humans who braved the sea during that era. Technology was more primitive in those days — no GPS, no radar, no autopilot. I remember hearing about the Pilgrim “voyage” from the older kids at my school. Sleeping over on a real tall ship sounded so exciting and adventurous! 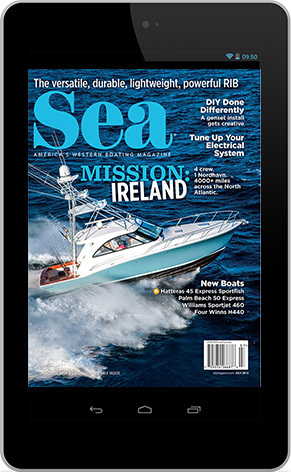 I looked forward to it all year, and when the day finally came and we were dropped off at Dana Point Harbor, the sea air hit me and we all eagerly anticipated our travel back in time. We toured the Ocean Institute and then it was time to walk up the plank into our time capsule. I have fond memories of that childhood experience — the night watch, the hearty beef stew, memorizing how to ring the ship’s bell to tell time. All of the staff were in character, and we were immersed into the world of being a sailor in 1800s. The replica of the original Pilgrim began as a three-masted schooner (or a “tern” schooner in North America) in 1945 in Denmark. In 1975, she was sailed to Lisbon, Portugal, by Capt. Ray Wallace and converted to her present replica brig. 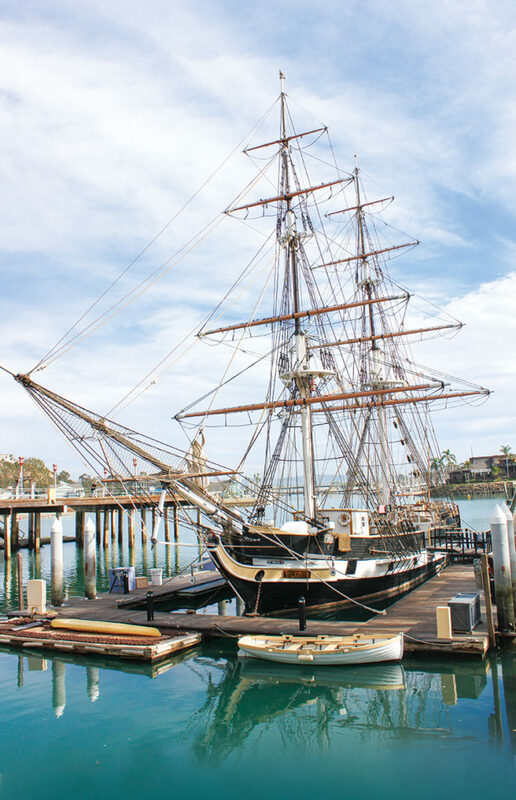 In September 1981, Pilgrim arrived in Dana Point Harbor, where she has been the Ocean Institute’s largest classroom, providing living history programs to thousands of students and visitors. The institute’s motto is “educate through experience,” something the folks there definitely delivered. The original Pilgrim, which also has historical ties to Dana Point, was built in 1825 by Bryant, Sturgis & Co. in Boston, Mass. She sailed capably until a fire destroyed her in 1856. She was a smaller brig than most, at 86 feet in length, with a crew of only nine needed to sail her. While carrying a shipment of limes from Maine to Alabama, a fire broke out and Pilgrim sank. 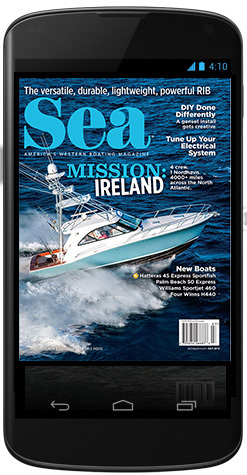 Lady Washington, a schooner, transported the marooned captain and crew to Pensacola, Fla. But the legacy of Pilgrim would live on through Dana and his writing. After his seaman career ended and he had published “Two Years Before the Mast,” Dana became a lawyer who specialized in maritime law and became a champion for the rights of the common man. He later went on to become a prominent abolitionist who fought to end slavery and helped found the Free Soil Party in 1848 while representing fugitive slaves in court. He would serve as the United States Attorney during the Civil War and was critical in defending the right to block Confederate ports, arguing before the Supreme Court. Pilgrim is owned and operated by the Ocean Institute, situated a few yards away from the dock where she floats. Through the doors of the impressive lobby area is a visitor center with more information on the programs available as well as an interesting tide pool. The facilities that are open to the public include the Headlands & Beyond exhibit, the tide pool playscape, Maddie James Seaside Learning Center, and all the labs inside the Ocean Education Center, in addition to Pilgrim. 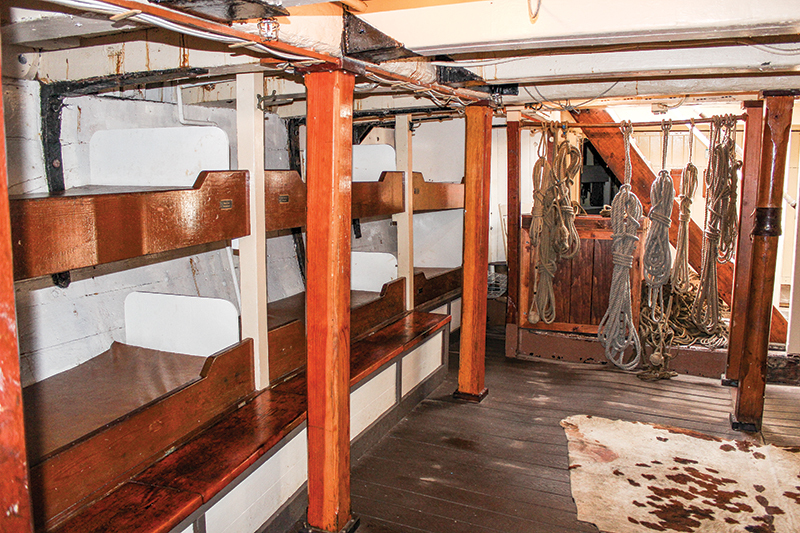 Tours of Pilgrim are offered on Sunday during regular operating hours. There are also seasonal events such as whale-watching cruises, holiday light parade cruises, the Jazz Festival, and the Tall Ship Festival that happen every year. Spirit of Dana Point, also owned by the Ocean Institute, floats adjacent to Pilgrim. 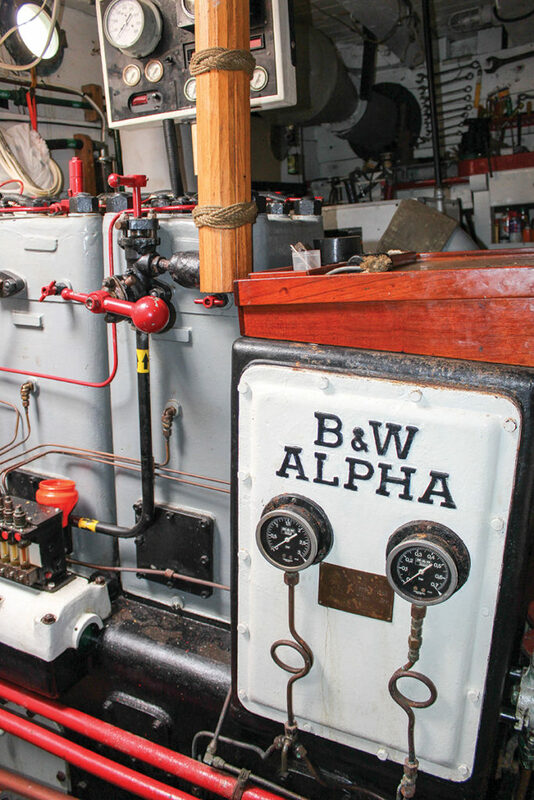 It was built by master shipwright Dennis Holland. He laid the keel on May 2, 1970. It took 13 years to construct and was launched for the first time in 1982. 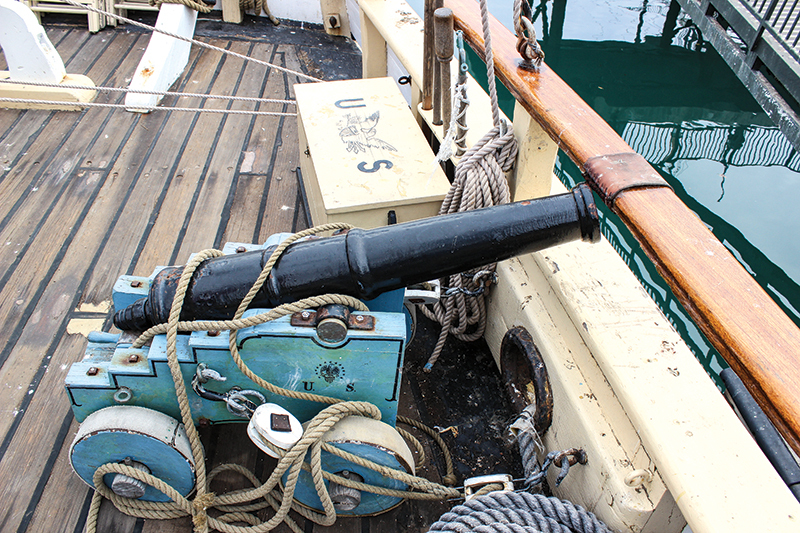 It is a replica of a 1770s privateer that was used during the American Revolution. 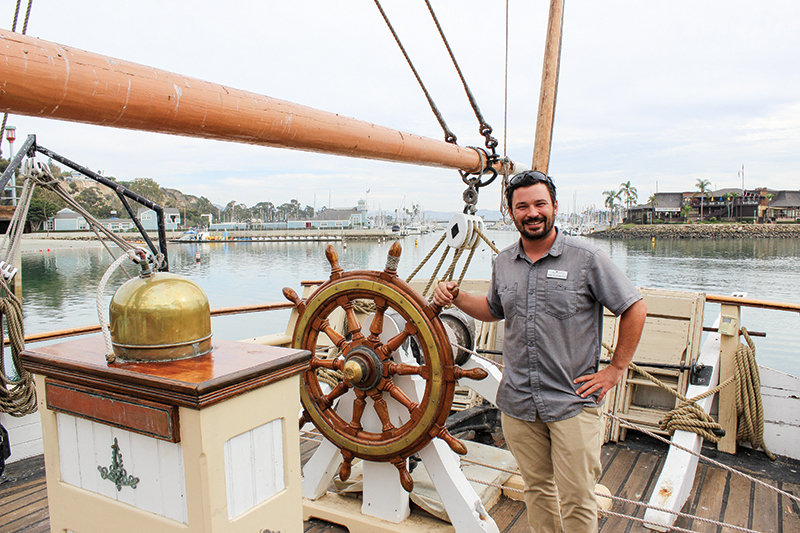 Spirit of Dana Point sets sail in cannon battle reenactments and other living history and at-sea maritime programs, including private charters, coastal sails, corporate team building and filming opportunities. 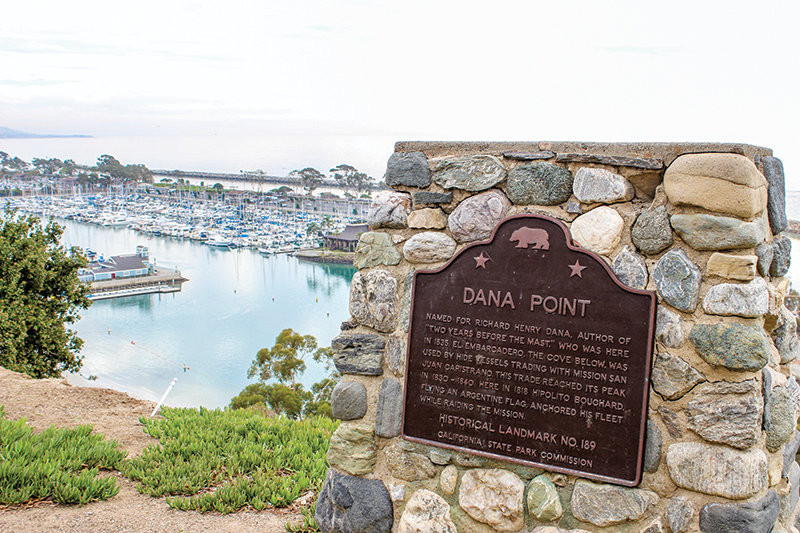 The area of present-day Dana Point Harbor is indeed where Richard Henry Dana unloaded furs and restocked provisions on his journey up the coast to trade hides. In his description of the locale of Dana Point, he said it was “the only romantic spot on the coast.” The rolling hills and cliffs are rather unique in California. 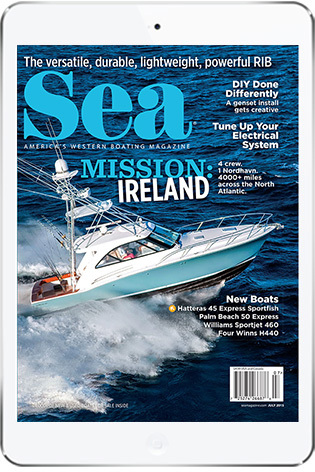 Boat owners moored in Dana Point should take the time to check out a little piece of history and classic American literature.